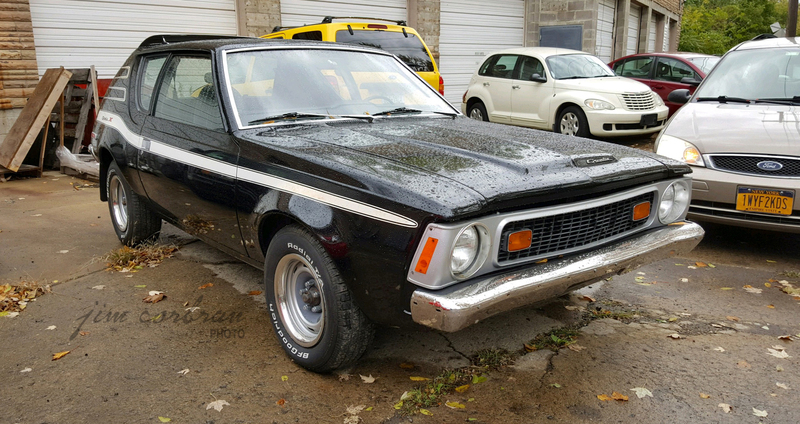 In 1971 the import wars were on (again), and in the American corner stood the troika of Pinto, Vega, and Gremlin (Chrysler wouldn’t join the domestic fray until the 1978 Dodge Omni and Plymouth Horizon debuted). This 1973 AMC Gremlin X, seen over the summer in Tonawanda, is an example of how manufacturers tried appealing to those buyers who didn’t want a stripped-down sub-compact. (You could even get a V-8!) 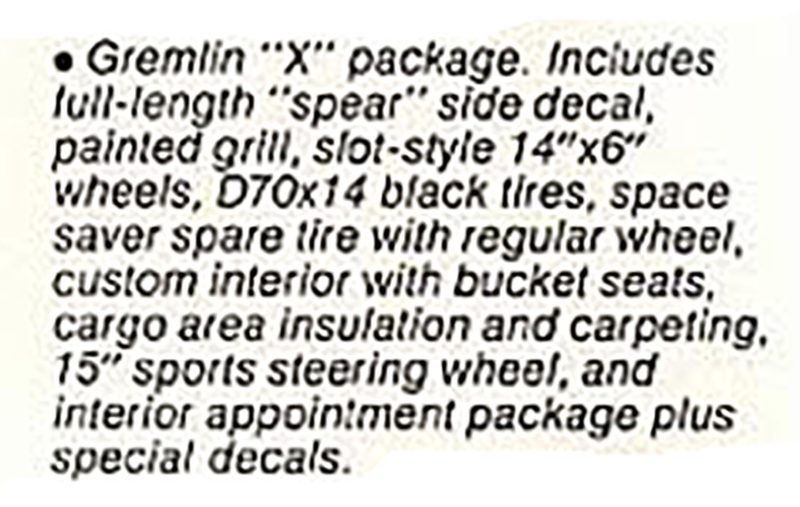 The X package for the Gremlin was mostly appearance items (see brochure graphic at right); although it seems the painted grille might only have applied to non-black Gremlins, as just about every black Gremlin X I’ve seen has the silver-painted grille like today’s RealRide.